Hollywood: Los Angeles, CA USA Set #42 - Hero Composite: Car travels E on Hollywood Blvd. on a clear evening in light traffic. Shot on RED Dragon. hd01:30Downtown: Los Angeles, CA USA Set #101 - Hero Composite: Car travels E on Wilshire Blvd on a clear evening in light traffic. Shot on RED Dragon. 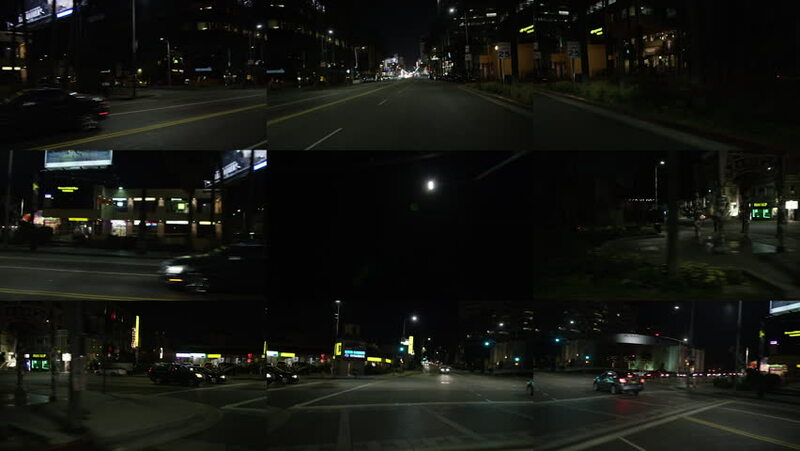 4k01:30Downtown: Los Angeles, CA USA Set #104 - Rear View angle: Car travels E on Wilshire Blvd on a clear evening in light traffic. Shot on RED Dragon. hd01:30Downtown: Los Angeles, CA USA Set #113 - Hero Composite: Car travels S on Figueroa St., and then turns E into 2nd St. tunnel, on a clear evening in light traffic. Shot on RED Dragon.